The Citi Open is gearing up to celebrate our 50th edition of professional tennis in the nation’s capital this summer, July 28-August 5 at Rock Creek Park Tennis Center. The Capital Tennis Tradition stands as an ATP 500 and WTA International Level professional tennis tournament. 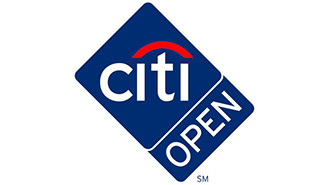 Recognized by the ATP Tour as one of the top twenty tournaments worldwide, the Citi Open continually attracts the best men’s tennis players from around the globe. The tournament expand in 2011 to include the WTA international level. Some of the most legendary names in the sport hold the title of champion since it was founded in 1969 by then Davis Cup Captain Donald Dell and John Harris in partnership with Arthur Ashe . Jimmy Connors, Arthur Ashe, Guillermo Villas, Yannick Noah, Andre Agassi, Andy Roddick, and Juan Martin Del Potro are just a few of the many well respected athletes we recognize as our past champions.